The Pentagon confirmed early Wednesday that a formal investigation has been launched after photographs began to surface purportedly showing US troops burning the remains of dead Iraqis. Those images were published Wednesday morning by website TMZ, which claims to have recently come into possession of 41 photos in all that they believe to have been taken in Fallujah sometime in 2004 amid the US-led Iraq occupation. The website has only published eight of the images, including ones in which men appearing to be US Marines are seen dousing the dead with chemicals and setting them ablaze. TMZ is withholding the majority of the photographs, however, because many are simply “too gruesome,” they claim, including one alleged to be in their possession showing a human body being devoured by dogs and another covered in flies. 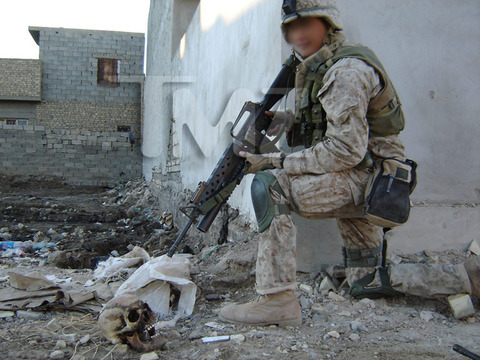 Among the photographs that were published by TMZ is one in which a man in full military garb is shown holding his high-powered firearm to what appears to be the charred remains of a human skull. 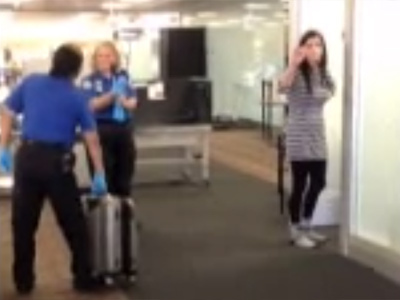 According to the website, the photographs were turned over to the US Department of Defense last week. TMZ says that Col. Steve Warren, the Pentagon’s director of press operations, told them the images do seem to show US servicemen engaged in unlawful activity. 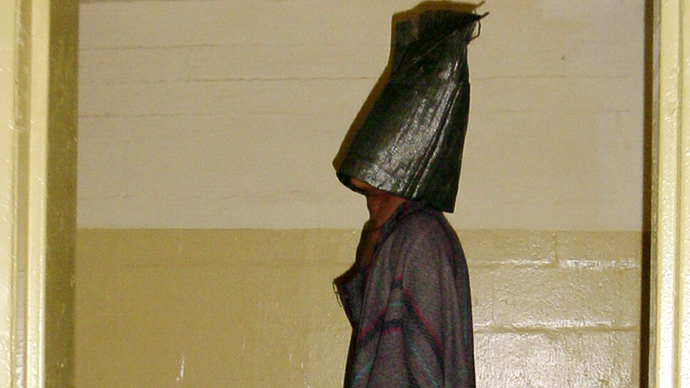 Now as authorities begin their probe, the latest leak may uncover the most embarrassing incident of its kind to plague the US military since images taken inside America's now infamous Abu Ghraib prison were published nearly 10 years ago. When those photographs were first published almost a decade ago, images showed the world horrific instances of abuse and torture that even today remains one of the biggest scars to mar the Iraq War and occupation during its nearly nine-year-long duration. Eleven US troops were convicted for their conduct there. With regard to the latest leaked images, Col. Warren also confirmed the existence of an investigation to Stars & Stripes, a news outlet carried out as a service of the US Defense Media Activity. That website is refusing to publish the images until more information about them develops. Warren informed Stars & Stripes that the US Marine Corps is conducting the military’s probe, and Capt. Richard Ulsh, communications director for the Marine Corps, told the Pentagon-affiliated paper that an investigation has indeed been launched to examine the veracity of the photographs, the circumstances involved and possibly the identity of the alleged servicemen caught on film. “The findings from this investigation will determine whether we are able to move forward with any investigation into possible wrongdoing,” Capt. Ulsh said. 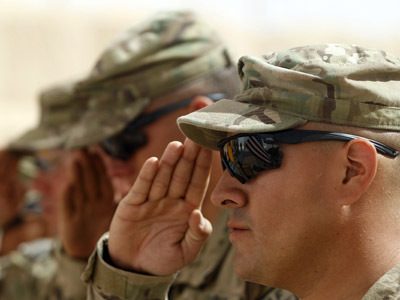 As far as Pentagon spokesman Warren is concerned, though, the Defense Department can’t at this time say for certain that the alleged troops seen in the images engaged in any conduct that without a doubt fails to comply with the Uniform Code of Military Justice. Mishandling human remains is a violation of the UCMJ, however, and the results of the just-launched Marine Corps investigation may soon call for a court-martial to convene in order to prosecute anyone thought to be affiliated with unlawful activity uncovered by TMZ. "The actions that are depicted in these photos are not in any way representative of the honorable, professional service of the two-and-a-half million service members who went to war in Iraq and Afghanistan in the last decade,” Col. Warren told TMZ. Marine Corps spokesman Capt. Ty Balzer echoed Warren’s remarks when reached for comment by the New York Daily News early Wednesday. Even taking into consideration the Abu Ghraib incident, the most recent embarrassment suffered by the military is hardly the first as of late. 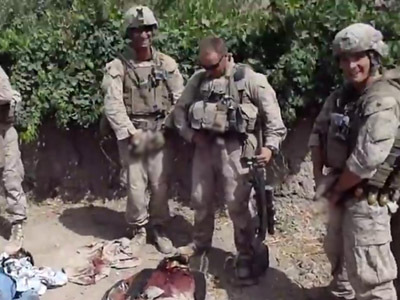 In January 2012, video footage made its way to the web showing US troops urinating on the bodies of what appeared to be slain Afghans, and several months later the Los Angeles Times published photographs depicting US soldiers posing with the gory remains of several Afghan suicide bombers. A spokesperson at the Pentagon press office’s Iraq desk did not immediately return RT’s request for a comment on TMZ’s alleged Fallujah images.